Xavier Veilhan's fifth solo exhibition in New York, an installation titled Keep The Brown, was presented by Sandra Gering Gallery at its former Chelsea location. 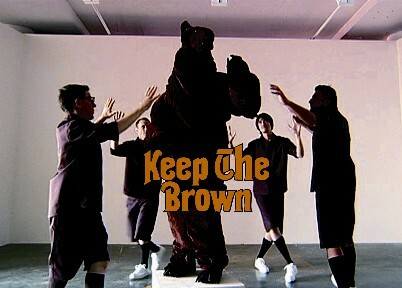 Keep The Brown was also the title of Veilhan's silent film, the centerpiece of the gallery installation. As with Veilhan's photographic and sculptural work, the sets and props in the film are of a rudimentary nature. Details are stripped away. But even in this bare bones state, the location and characters are instantly familiar. The film's setting is a minimal interior easily recognizable as a New York commercial loft building. The simply costumed characters, played by the artist and his close New York friends (symbols to Veilhan of the city itself) are international couriers. Veilhan uses the couriers, those ubiquitous urban figures, to represent a form of constant motion — the continuous cycle of pick-ups and deliveries. This completely constructed motion is juxtaposed in the film with dream sequences involving the natural, cyclical motion of the planets. In the film, the Keep The Brown couriers deliver spherical packages that echo the planets in form as well as motion. The items delivered are revealed to be parts of a whole. When assembled, the parts create a large brown bear. 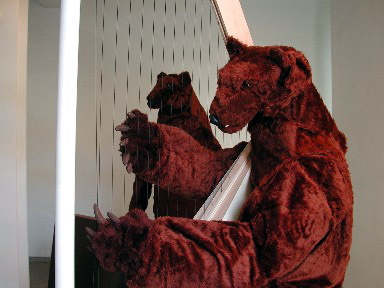 By assembling him, the couriers bring the bear back to life, and the bear then becomes a character in their narrative. Veilhan's work often juxtaposes elements of the natural world with those from the artificial. 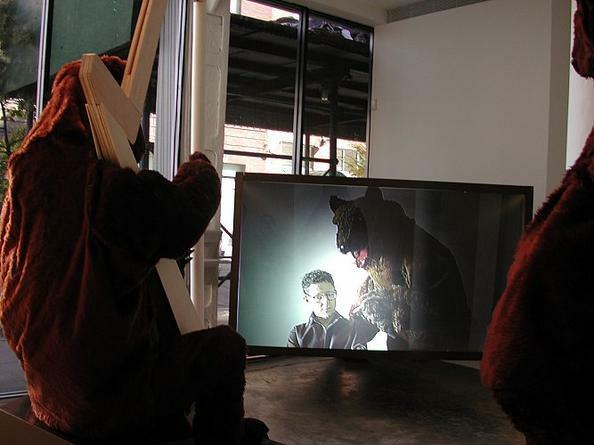 In the installation at Sandra Gering Gallery, the bear appears to have escaped from the film. He is sitting with a colleague in the gallery and watching the film itself. The worlds of fiction and reality are brought together for the viewer, making the viewer a part of the narrative. Xavier Veilhan's previous two silent films, Drumball and Le Film du Japon, were presented at the Pompidou Center. Keep The Brown was realized with support from the Délégation aux Arts Plastiques/ Ministère de la Culture (France). Keep The Brown was filmed in the galleries at the Phillips, de Pury & Luxembourg New York headquarters. The artist and Sandra Gering Gallery would like to thank them for their support in the making of the film.